**Contact 928-282-9030 for more information if needed. 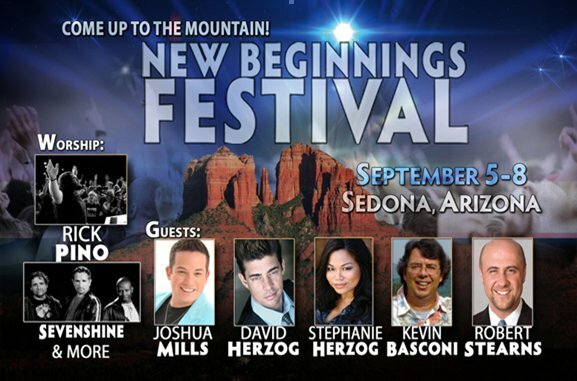 Join us in beautiful Sedona, Arizona as we celebrate together the Feast of Trumpets. This 4-day event will be a time of rejoicing, celebration, miracles, healings, and a celebration of New Beginnings. Join us for a time like no other. Please register each person separately. Registration is Non-Refundable. DISCOUNTED PRE-REGISTRATION ONLY $29 - Only until August 5th after that Registration will be $50. Online and Phone Registration will be closed on Wednesday, September 3rd at 12 Noon. This will be an OUTDOOR TENT EVENT - come join us! September is a beautiful time of year for outdoor events in Sedona, Arizona. The average daytime temperatures are in the mid 80's and the nighttime temperatures in the upper 60's.